This page contains a translation into English of the lyrics to the popular Greek song "Mes Stis Polis to Hamam", also sometimes known as "To Haremi sto Hamam". It was sung by Anestis Dellias (Artemis). Also included is a pronunciation guide for the Greek lyrics so you can sing along if you like. 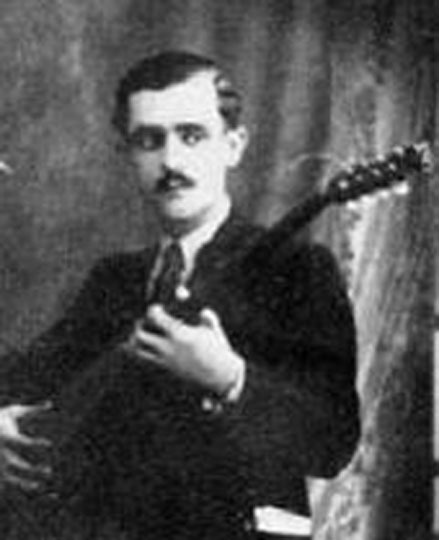 Anestis Delias was a Greek singer and composer of the rebetiko style of music, who played both bouzouki and baglamas. He was born in Smyrna (known today as İzmir in modern-day Turkey). His family moved to Greece in 1922. There, he worked many jobs to support his family, and he launched his music career. Delias died at the age of 32 in 1944 of a heroin overdose. (Some sources say he died in 1941.) Despite his short life, Delias is honored today as one of the important musicians of the rebetiko movement. The version of the lyrics used for this translation is by Anesti Delias. This has also been featured with each sentence being repeated twice. At times, depending on whether the vocalist is a man or a woman, the words "he" and "she" will be changed. There are two versions of the lyrics translated below. The first comes from the era of the Forbidden Rebetika, and references smoking hashish. The second replaces the hashish-related lyrics with something else. Both versions are equally important. Young and old of all ages learn and appreciate both. Consider who your audience is. For more conservative ones, use the version without the hashish reference. Footnotes are indicated by numbers in parentheses. They appear immediately following the translation below. ένα χαρέμι κολυμπά ena haremi koleemba a group of women is swimming. στον Aλή Πασά το πάνε ston Ali Pasa to pane They are going to Ali Pasha. να τις φέρουνε μπροστά του na tis feroune brosta tou to bring the women in front of him. Many older Greek songs refer το "Poli". Poli translates to "city", but in Rebetika music lyrics, Poli refers to Constantinople. Today, Constantinople is known as Istanbul. "Filane" can also mean kissing. The Greek word "argile" (plural "argiledes") is also used in some Arabic-speaking areas such as Syria to refer to a hookah pipe. In Egypt, the word "shisha" would be used for the same thing. At the time this song was written, "tsiboukia" referred to pipes. However, at least since the 1970's, it has taken on another slang meaning, becoming a rude way to refer to a particular sexual act. 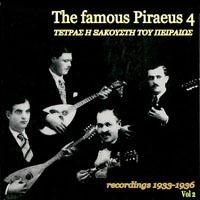 Instead of "hookahs and pipes", some versions of the lyrics speak of musical instruments μπουζούκια or μπουζούκο-μπαγλαμάδες (bouzouki or bouzoukia/baglamad). Footnotes are indicated by numbers in parentheses. They appear immediately following the translation below. This version was released in 1974, with lyrics by Panayiotis Mixalopoulos. 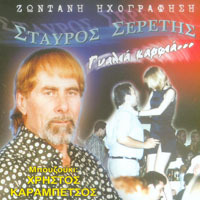 Many older Greek songs refer το Poli. Poli translates to "city", but in Rebetika music lyrics, Poli refers to Constantinople. Today, Constantinople is known as Istanbul. Filane can also mean kissing. This is another way of saying "Opa". It doesn’t really mean anything. Some people think of this as the sound of the instrument striking. A "bouzouki" is a Greek musical instrument which dates back to ancient times. It originated with the Greeks in Anatolia. (This is the Greek name for the land mass known today as Turkey. Greeks lived there in large numbers until the early 20th century. Many of these refugees went to mainland Greece.) The Greek refugees from Anatolia brought the bouzouki with them to Greece, and they were the founders of the musical genre known as rebetiko.